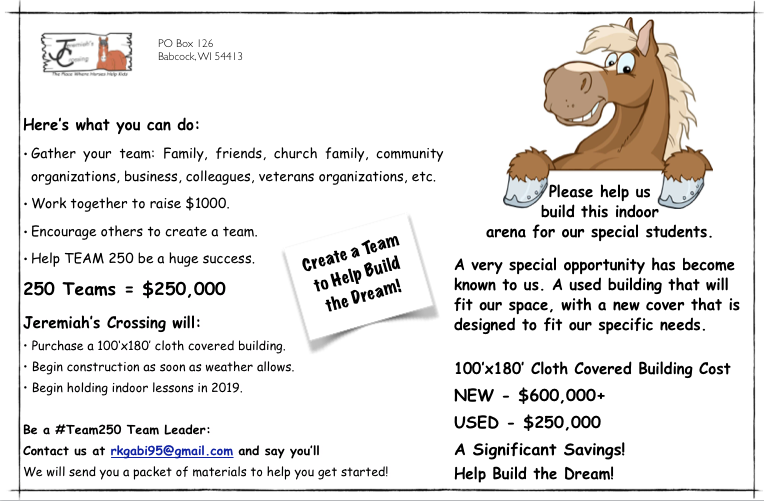 An indoor arena will mean the world to our amazing students! We believe God has called us to this new opportunity, has given us the inspiration for #Team250, and has heard our cries of despair each time we have canceled lessons due to rain. He knows our hearts and the hearts of our entire Jeremiah's Crossing family. We believe our time is now. Click here for a letter from our founders. Click here to donate to #Team250. Scroll down to register your team.